Take note, fitness buffs: At 131 years old, Mercedes-Benz is in the best shape of its life. After revamping its design language, the company redesigned all of its core models from the ground up and launched a lineup of attractive compact cars that brought younger buyers into showrooms by the masses. Consequently, Mercedes is exceeding expectations and setting sales records on a regular basis. Executives aren’t about to sit back, relax, and let Germany’ most prestigious automaker coast for the next few years. Ola Källenius, a Daimler board member who oversees the development of every Mercedes model, tells us how his team can improve a winning formula. Digital Trends: As the flagship of the Mercedes-Benz lineup, the S-Class is a technological marvel. What was the most difficult part of updating it? Ola Källenius: In this case, we have decided to really do a 360-degree update. Starting on the powertrain side, we have all-new six- and eight-cylinder engines. There will also be a new plug-in hybrid model with a roughly 30-mile electric range. Our six-cylinder is the first production engine with an integrated starter/alternator unit based on a 48-volt system. Really, the powertrain side is completely new. The S-Class is the first production car which, in an intelligent way, merges sensor data with map data. The next step was to take a look at the assistance systems. We took the semi-autonomous driving assistance systems to the next level. The S-Class is the first production car which, in an intelligent way, merges sensor data with map data. So, the car knows that you’re going to take a corner before you do. Inside, we have a new generation of connected features. And, the wide screen that you’re used to seeing in the S-Class is now in HD. It’s crisp, beautiful, and there’s a whole new set of technologies behind it. For us in engineering, this felt more like a whole new car than a simple face-lift. How do you teach a car to slow down for a curve? Two ways. First, the on-board sensors read the traffic signs. Second, data embedded in the map knows what the speed limit is on different roads. The information is already in the system’s backbone. But, you could merge on the highway and travel through a construction zone where the speed limit is temporarily reduced, so you always have to work with both sources. Why did Mercedes decide to go back to straight-six engines after building V6s for decades? We have created a whole new family of engines based on four- and six-cylinders. So, we have a family that is in the making as we speak of gasoline and diesel four-cylinders, as well as gasoline and diesel six-cylinders. All of them are based upon the same combustion chamber design, and they have the same distance between the combustion chambers. In a flexible, modular production network, we can switch from four to six cylinders and from gasoline to diesel. This new family is the right way to best react to the market. Of course, there’s the smoothness of a straight-six; you can’t beat that. The beautiful side effect of that decision is we now have the best configuration for a six-cylinder engine. The V8-powered S-Class is badged S560 now. Is that a nod in the direction of the 126-series S-Class sold in the 1980s? With the new V8 engine, we were taking everything a step up. With the power level that we are offering combined with very, very good efficiency for a V8, we felt this is more than a 500 – it’s a 560! So we re-launched that traditional badge. How different is the S-Class’ V8 from the one AMG uses? Let’s say the stem of the tree is the same, but it’s two different branches. AMG’s version is developed with a focus on performance whereas the one that goes into our series-produced cars is smoother, with Mercedes-like refinement. They’re siblings, I would say. 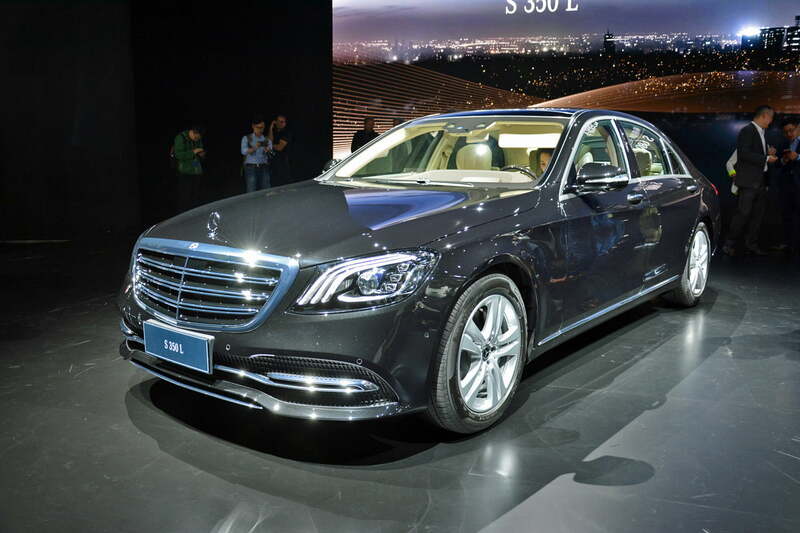 Was the current-generation S-Class designed with electrification in mind? Yes, it was. Of course, packaging is always an interesting challenge, you’re always fighting for real estate in a car, but I think we have solved that in a sensible manner. You will be able to have pretty decent range and still have enough room for your luggage. 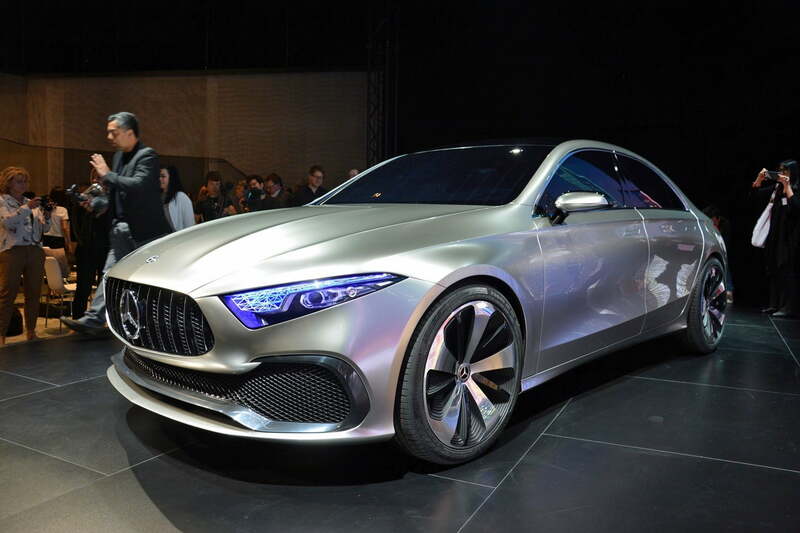 Will electrification extend to the entire Mercedes lineup? Yes, it will. We currently have eight different plug-in hybrid models, which is more than any premium manufacturer, and we’re going to go much broader in the next few years. Literally from top to bottom. We still believe in hydrogen, we’ll continue investing in this technology, but we won’t scale up production in the short- to mid-term. There’s no size that’s too small? I would say no. Depending on which market, and what the customers demand, we will pretty much cover the whole spectrum in the next few years. Hydrogen-powered drivetrains were making a lot of noise a few years ago, but now most industry players are shifting towards electrification. Is it a technology Mercedes still believes in? We have been working on hydrogen drivetrains for quite a few years. The next-generation technology is going to be presented during the second half of this year. We’re taking it to the next level. It’s more compact, and it offers better performance. We’re putting it in a variant of the GLC that will be launched next year. In the short- to mid-term, however, if we talk about volume production, we think battery-electric drivetrains will go mainstream before fuel cells do. Our EQ brand will be battery-electric first, but in the longer term the fuel cell can play an interesting role as well. We still believe in the future of hydrogen, we’ll continue investing in this technology, but we won’t scale up production in the short- to mid-term. Is AMG also getting some form of electrification? Yes, AMG will eventually go electric, but it’ll be more biased towards performance. Does electrification open up new performance possibilities? It does. You have to develop it in a direction where, almost like in a Formula 1 car, you can charge and unload very quickly. So, you need a boost function. You also need to look at the packaging to make sure that you get it absolutely right, because a performance car can’t carry around unnecessary weight. It’s a slightly different engineering challenge, but it’s something that we’re looking forward to. 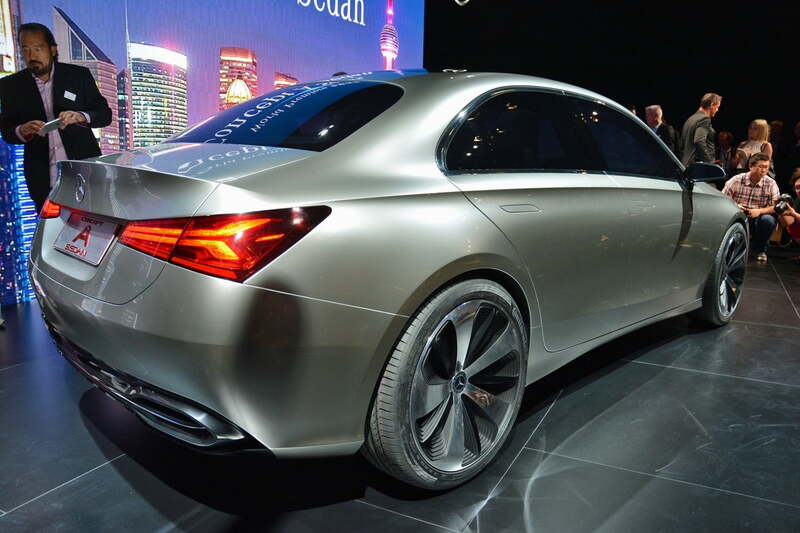 Switching gears: The Concept A Sedan shown in Shanghai was a preview of the next A-Class variant. What’s the biggest change you want to achieve with the upcoming generation of compacts? What do you need to improve? The current models are selling like hotcakes, but it’s in the nature of a company like Mercedes-Benz to never rest on our laurels. The car that we showed in Shanghai as a concept is the sixth family member. The next-generation compacts will begin arriving next year, and the A-Class Sedan will be one of them. AMG will eventually go electric, but it’ll be more biased towards performance. We’re looking at taking the design to a new level. There will be a lot of changes in terms of interior design, connected technologies, and on hybrid and electrification in general. The compact family is grown-up; it’s a serious part of our business. Last year, the five compacts made up almost 40 percent of the cars we sold globally. So, expect improvement in all area when the next-gen compacts arrive. Some predict the end of the coupe and convertible segment in the not-too-distant future. Is there a way to revitalize those body styles? We’ve always been a matter of heart and mind. We sell dreams, it’s the combination of emotion and intelligence that forms the magic behind a Mercedes-Benz. Of course, coupes and convertibles capture that imagination in a very appropriate way. We have put forward a range of very attractive coupes and convertibles based on the C-Class, the S-Class, and now the E-Class. The feedback has been phenomenal. Where the market is, we will be there. We believe in the coupe and in the convertible. In 2020, will I be able to buy a Mercedes that drives itself? All the building blocks are coming together. More sophisticated sensing technology will be available in the next few years, the computing power has been greatly enhanced; even the chips that will be available in 2020 and beyond are part of the equation. HD mapping data, too. And the last piece is the software, the AI-based algorithm that makes driving decisions and analyzes the sensors’ data. We’re seeing all of these pieces come together. We have to do the work now, and we know we will get there. It’s just a question of how quickly we can get there and deliver a system that we feel is absolutely safe for our customers. In terms of going into level four and level five, we see this technology hitting the market between 2020 and 2025. The most obvious first use will be in a robot taxi. That’s because you will have very expensive technology, but if you take out the cost of the driver from the equation you can actually very quickly amortize it. Eventually, our goal is to have full autonomous drive as an option that you can select when you buy a car. But, on the way there you will see a gradual development of our assistance systems.